If you are visiting the historical city of Fes, Morocco and have a few extra days to travel around, there are several great day trips you can take from Fes. About an hour’s drive west of Fes is the imperial city of Meknes. Meknes is often considered one of the best imperial cities in Morocco. More laid back then Fes and a bit smaller in size it makes for a nice day trip to get out and explore another city. Bab el-Mansour – this massive gate is one of the main entrances into the old city. Although you can no longer enter through the main doors and instead need to go in through the side entrances, it is a true work of art with its detailed zellij (tile work) and large columns on each side that are said to have come from the nearby Roman ruins of Volubilis. Mausoleum of Moulay Ismail – this burial site for the former sultan, Moulay Ismail, who made Meknes the capital for a few years (between 1672–1727) is free to visit. Its cheery yellow painted walls and arched doorways make for some nice photos. Heri es-Souani – Built as a granary to hold the grain and feed for Moulay Isamail’s thousands of horses, this building was quite a feat for its time. Under the floors of the granary are underground water channels that helped keep the rooms cool year round. During the Lisbon earthquake in 1755, the rooms in the back were damaged. All that remains now are the symmetrical columns. However, it is still breathtaking and another great place to take photos. Koubbat as-Sufara and underground prison – Another interesting site to visit in Meknes is the Koubbat as-Sufara and underground prison. The Koubbat as-Sufara is the building where foreign ambassadors were once received. Underneath the meeting hall and square outside the building are large underground rooms that are said to have once held prisoners. Most were held there during Moulay Ismail’s rule in 1672 to around 1727. As you tour the prison, it is hard to believe that thousands of people actually were held for long periods of time in this dark, dreary underground environment. 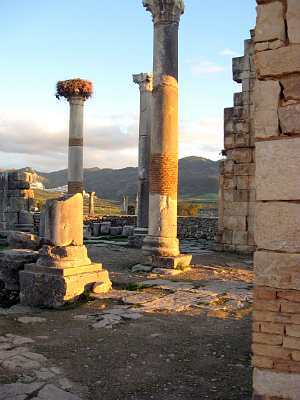 Near Fes (about an hour-and-a-half drive) are the old Roman ruins of Volubilis. This is a UNESCO historic site. Since the ruins are out in the open with few trees or shade, they are best visited in the morning, before the sun gets too high. The impressive monuments and stunning mosaics date largely from the 2nd and 3rd centuries. Near Volubilis is the town of Moulay Idriss that could also be included in your visit. Moulay Idriss is often considered one of the most sacred towns in Morocco and is the burial site for Moulay Idriss, great grandson of the prophet of Isalm, Mohammed. This whitewashed town sits overlooking the old ruins of Volubilis. From the ruins, Moulay Idriss is often said to look like a camel lying down. For those wanting a break from the noise and hustle and bustle of cities, take the opportunity to visit the countryside, a day trip into the Middle Atlas Mountains makes for a fun outing and breath of fresh air. Several small villages lay just south of Fes. 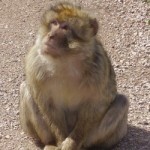 Make a full day trip out of it and visit such towns as Ifrane, Sefrou, Azrou, and the Cedar Forest. Each one has its specialties. Azrou is known for its Tuesday souks (market). 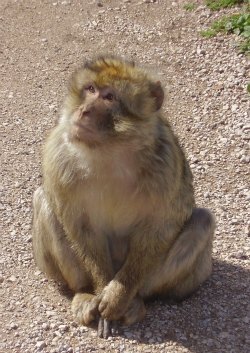 The Cedar Forest is known for the famous Barbary apes. Ifrane is known as home to one of Morocco’s most prestigious Universities and French style houses, while Sefrou is known for its small waterfall and for once being a hub for Jewish Moroccans. Let us know if you are interested in finding out more about day trips from Fes. We can provide day trips from Fes to all of these locations.